Building example apps with our video and text tutorials is a great way to learn a foundation in using Dropsource by creating complete projects. Create a place search app that uses Google Places API to carry out searches based on user input. 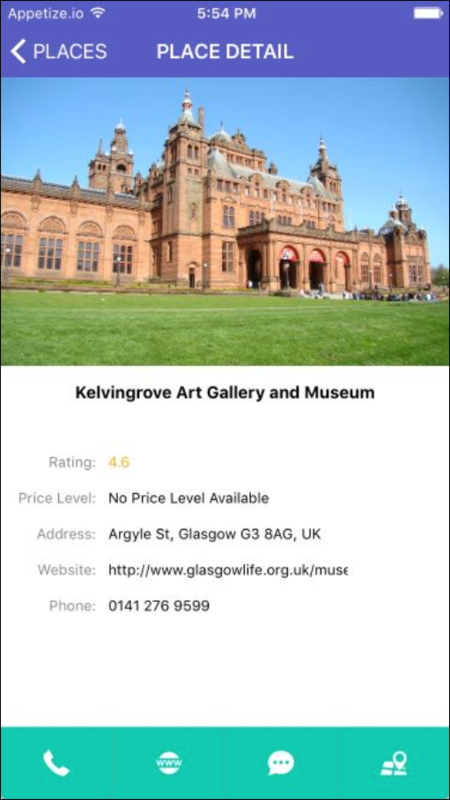 Show the user a list of places relevant to their search and present them a swipe view showing photos of each place, together with additional info including user reviews of the places. 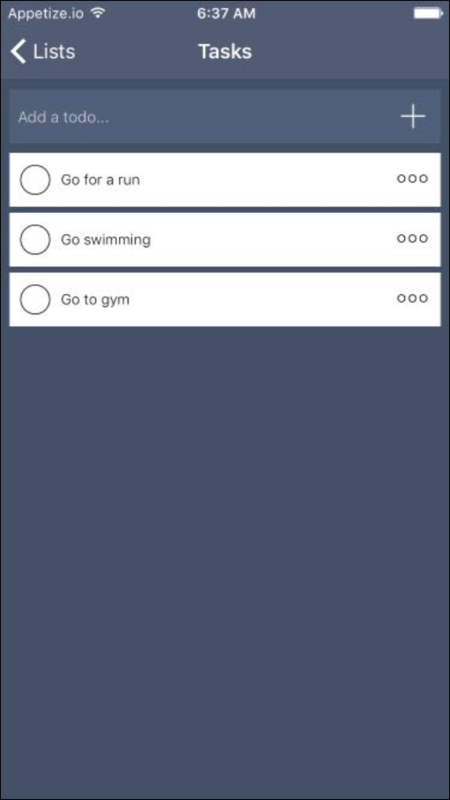 Build a dynamic to do list app using an API to manage tasks. Allow the user to create lists, tasks, and comments, as well as marking comments as completed using a variety of API request types and UX flows. 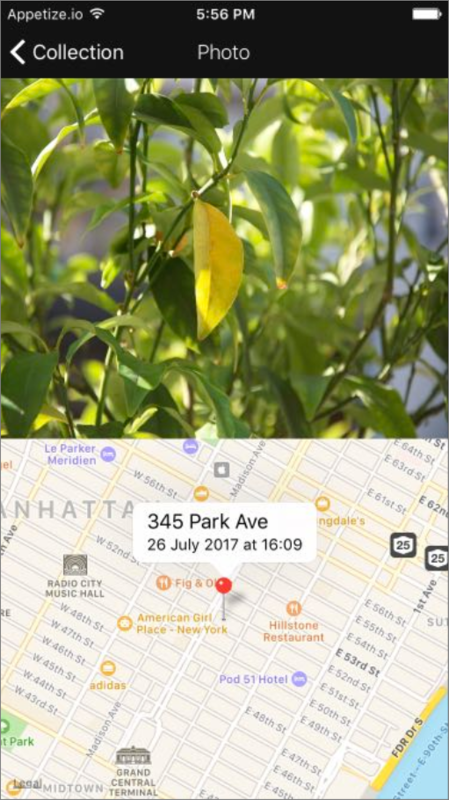 Create a location-aware photo saving app that allows the user to save images from their device camera to a Bubble API, along with their current location. Users can view their photo collection and select a photo to view it together with its location presented on a map. 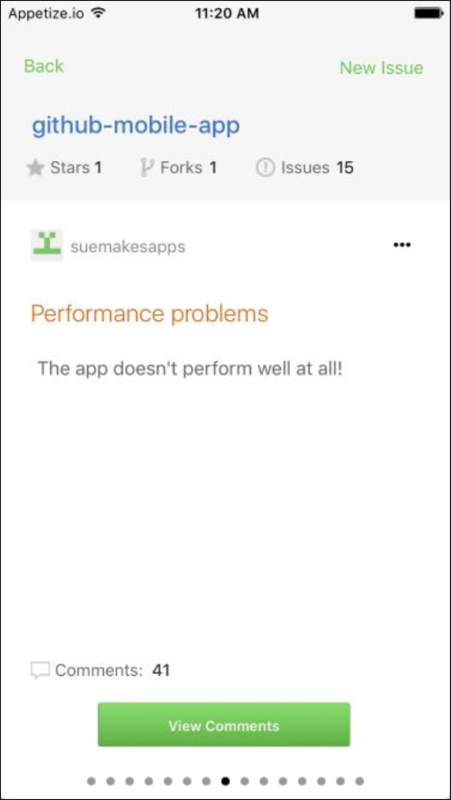 This app uses a variety of native mobile app functionalities and implements user management. Build a GitHub issue and comment organizer app, allowing the user to view and manage comments and issues on their GitHub repos. Handle user login via GitHub’s web service, present swipe views of the user’s repo info, and support adding, editing, and deleting issues and comments.